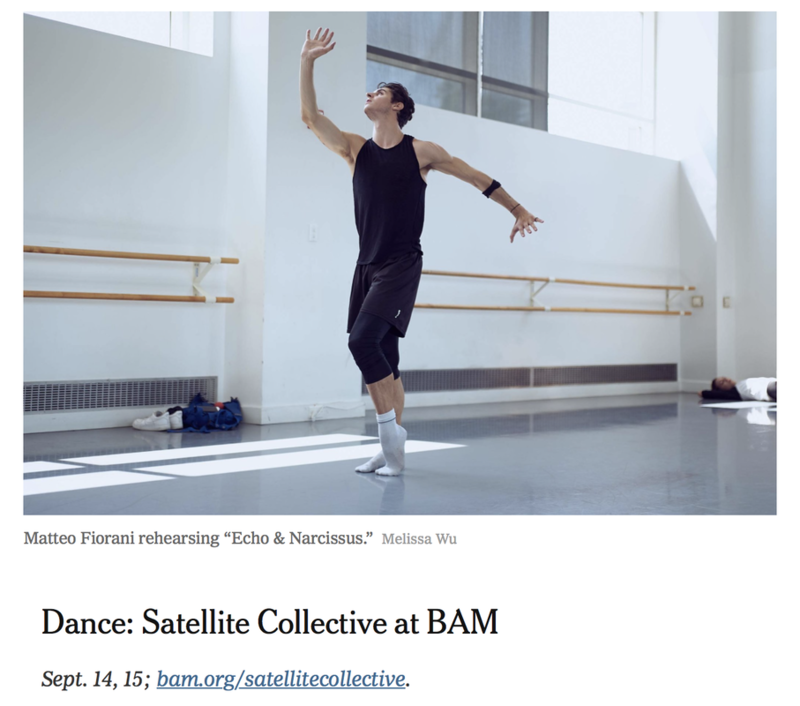 Satellite Collective ’s latest interdisciplinary ballet, “Echo & Narcissus,” hints at the anxiety and strife surrounding the current political landscape, but is set in New York in 1971. The production features Narcissus as a rebellious outsider from the South, while Echo, the nymph, is recast as a socialite. She falls in love with Narcissus, and together they commit a crime that leads to a tragic conclusion.